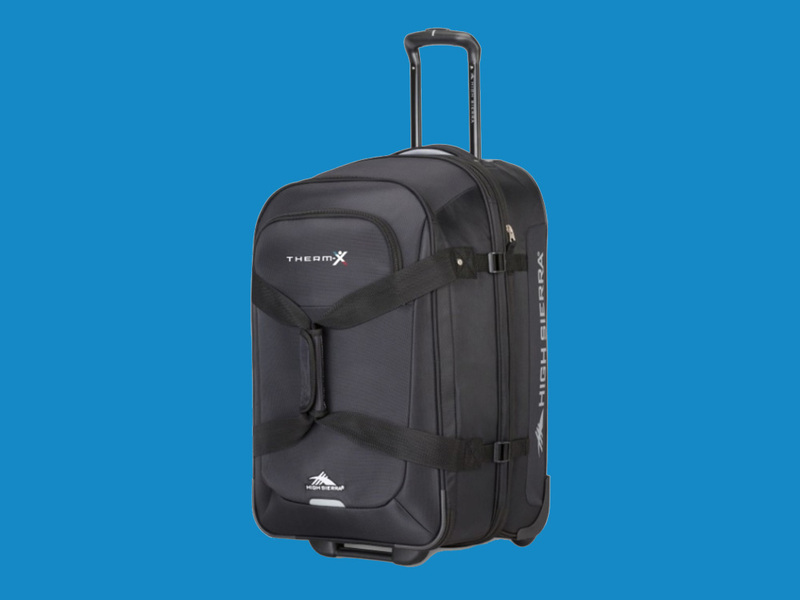 The Therm-X AT combines cold, heat, contrast, and compression therapy, in one easily portable machine. 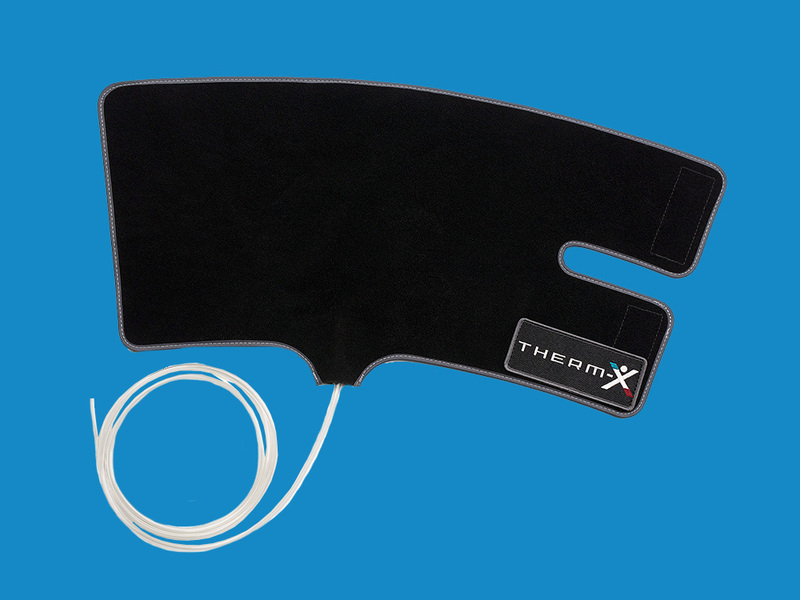 Designed for use in Rehabilitation and Sports Medicine, the Therm-X is intended to treat post-surgical and acute injuries to reduce edema, swelling, and pain. 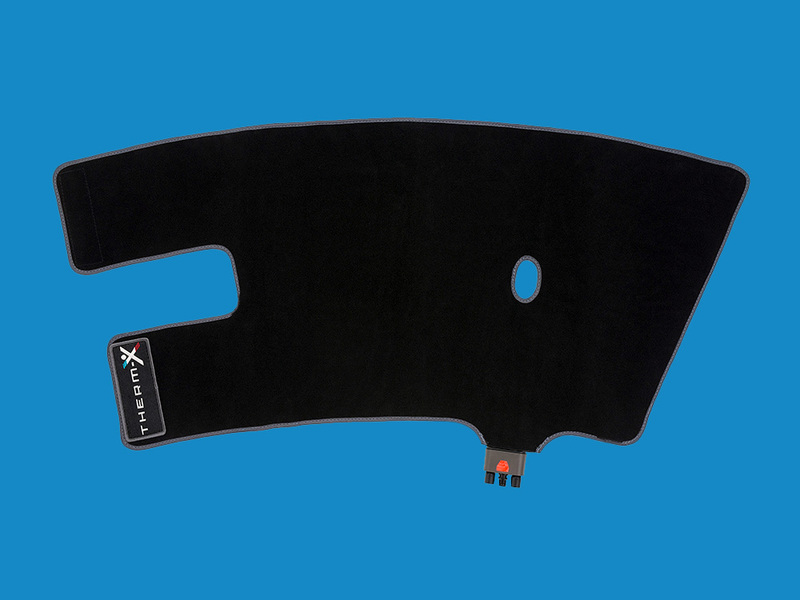 The Therm-X is a flexible tool with digital accuracy, when localized thermal therapy (Heat or Cold) is indicated. Find out how to Order. Get Colder Faster. No Ice Required. COLDER THAN MOST - EVEN ICE MACHINES! The temperature you want is the temperature you get. With digital control, you can set a specific temperature and repeat it cycle after cycle, unlike Ice Machines that lose their cool as the ice melts. WHY NOT WARM UP TOO? Because the Therm-X is digitally driven, it can get hot as well as cold. Use the Therm-X when your protocol requires heat. No ice machine can do that! 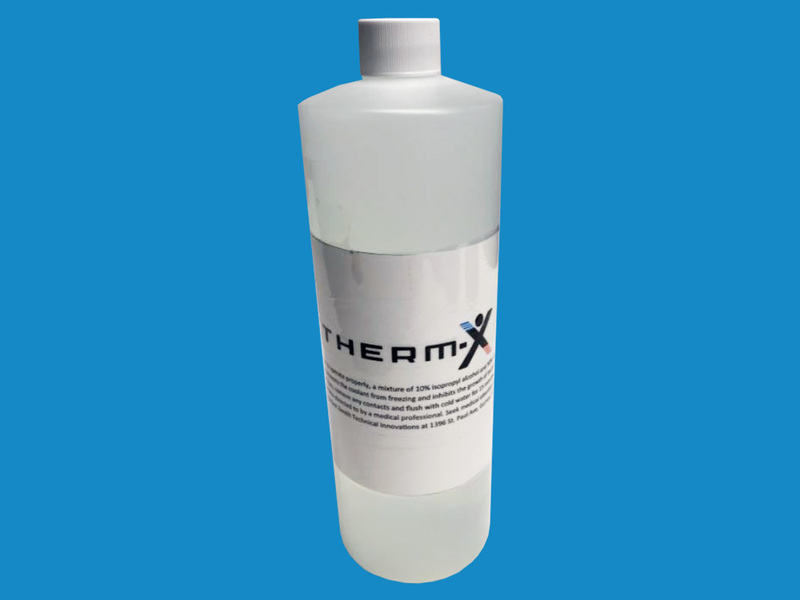 The Therm-X eliminates the need for hot packs, cold packs, and ice. CONTRAST - A BENEFIT WHEN YOU WANT HEAT & COLD. If you value contrast therapy and want a portable device that can deliver contrast as a modality, look no further. The Therm-X has the ability to cycle between heat and cold for up to a 100 minute cycle. Aside from compression’s clinical benefits, compression enhances thermal transfer. The Therm-X has three compression settings that ensure the Garment’s thermal zone stays in contact with the patient to deliver therapeutic temperatures. "best modality of its kind that we have seen..."
"Therm-X is a portable, versatile, and intuitive approach to both cryotherapy and thermotherapy that is built to stand up to the demands of professional use. It's innovative technology, thoughtful design, and ease of use make it a game changer. This is the best modality of its kind that we have seen." 10" x 9" x 15"
* The Therm-X and its accessories are intended to be used by, or on the order of, licensed health care professionals in rehabilitation facilities, outpatient clinics, athletic training settings, and home settings. © 2018. Zenith Technical Innovations, Inc.